LANSING, Mich. — State Sen. Ken Horn’s latest stop on his Hometown Jobs tour took him to his hometown of Frankenmuth, Michigan’s own Bavarian city, for part one of a special three-part series. The first stop in Frankenmuth was at the legendary Bavarian Inn, which holds a great deal of significance to the senator because it is where he was hired for his first job in Frankenmuth. Upon arrival, Horn was greeted by staff and Frankenmuth’s own Dorothy Zehnder, who has been with the Bavarian Inn since its formation in the 1950s. Making their way back through the hectic kitchen, Zehnder and Horn spoke to one another as if the senator was still working there — discussing the various jobs that needed to be done and in which order they needed to be completed. As things were getting ramped up for lunch and entrées were still being prepared, the duo began the day by working on the dessert line preparing and portioning out desserts. From rhubarb cobbler to ice cream pie — Horn received a hands-on lesson from one of the nation’s most experienced chefs. Fresh food and local ingredients are just one of the many trademarks that the Bavarian Inn is famous for. They remain dedicated to using as many ingredients from Michigan as possible. From Posen potatoes, to Pinconning cheese, to Hillsdale apples and maple syrup from the Zehnder’s very own estate — only the freshest ingredients will make it to your plate. After the desserts were prepared and the lunch hour had arrived, Horn took to the line to expedite orders with the wait staff. Dressed in his trademark lederhosen, Horn carried trays, delivered meals and met with diners to discuss his role for the day. Despite the many jobs and the behind-closed-doors look at what goes on at the restaurant, Horn still maintains the history is what fascinates him the most. The Bavarian Inn Restaurant was originally founded as the Union House Hotel in 1888 and later renamed Fischer’s Hotel, where the “all-you-can-eat chicken dinner” officially started. The Zehnder family later purchased Fischer’s Hotel in 1950 and after a few bleak years, remodeled the location with the popular Bavarian theme, which it still boasts to this day. A week-long ceremony was held during their grand re-opening marking the official beginning of what is now known as the Bavarian Festival. As the tour concluded, Horn thanked his hosts and gave a hint as to what part two of his Frankenmuth tour would include. Editor’s note: For a print-quality copy of each photograph, please visit www.SenatorKenHorn.com and click on “Photowire” under the Media Center tab. 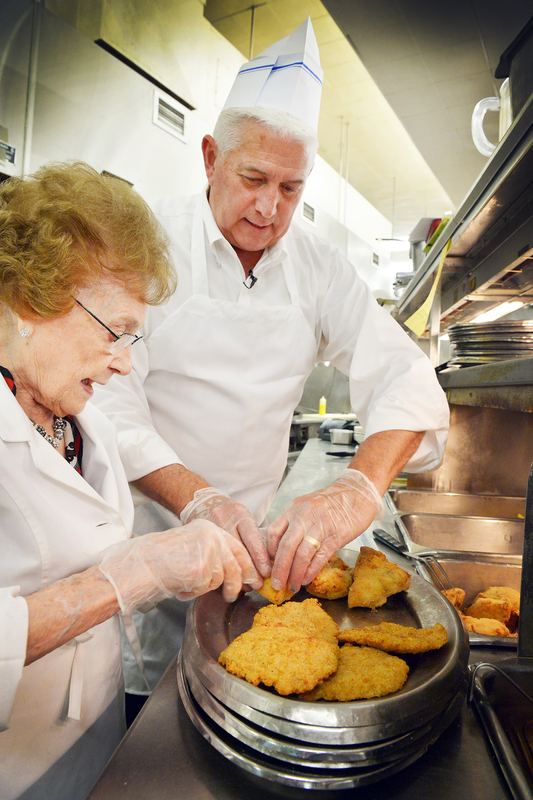 PHOTO 1 CAPTION: State Sen. Ken Horn, R-Frankenmuth, and Dorothy Zehnder carefully portion chicken for the world-famous chicken dinners at the Bavarian Inn Restaurant. 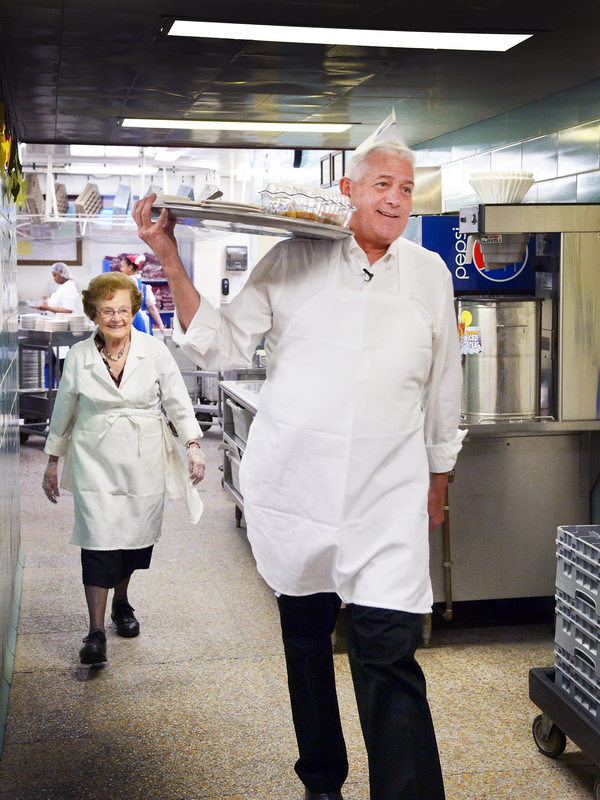 PHOTO 2 CAPTION: Under the watchful supervision of hospitality expert Dorothy Zehnder, state Sen. Ken Horn, R-Frankenmuth, balances a tray of chicken as he makes his way from the kitchen to the dining room. 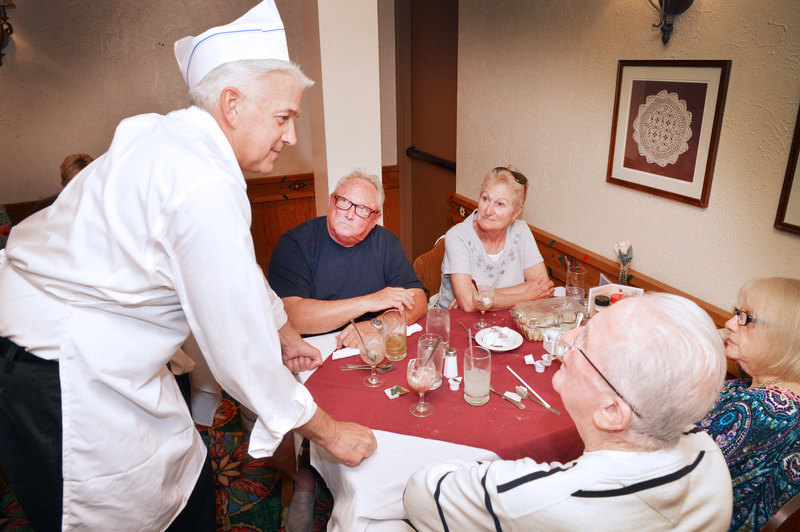 PHOTO 3 CAPTION: After serving the lunch crowd at the Bavarian Inn, state Sen. Ken Horn, R-Frankenmuth, meets with customers to discuss his tour as they enjoy their meals.